Recall, late last month precisely August when I gave out free recharge cards in celebration of our 2 years of existence on Entclass Blog, and also, i gave out free recharge cards early this month for my birthday celebration. If you haven't been following us daily, then you are missing lots of goodies from Entclass.com.ng. This time around, it's for the active and the most top commenters of the month of September 2017. 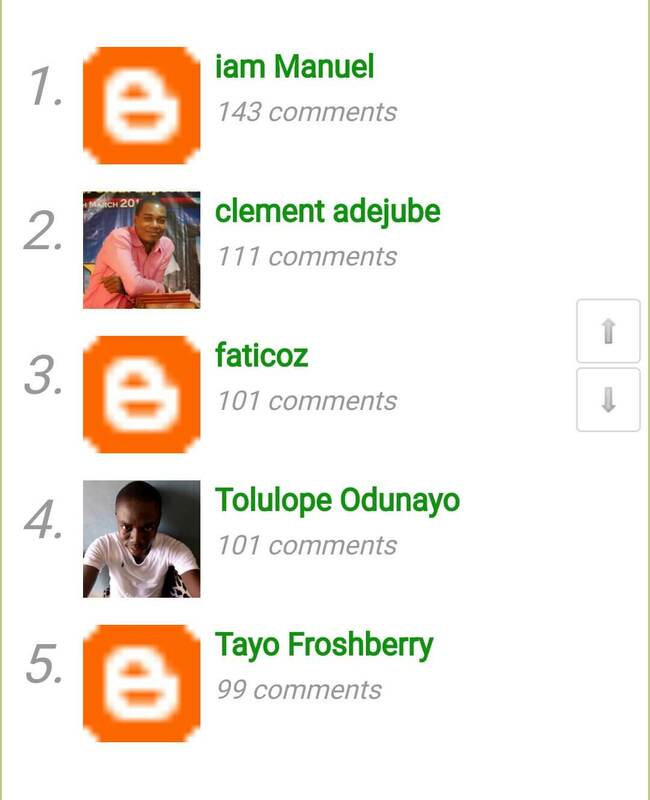 Back to the giveaway; i will be giving out free Airtime to only these five active users on Entclass Blog for the month of September 2017.
iam Manuel has taken the first position from Clement Adejube who has always been the number one and regular commenter of this Blog since the reward started in January this year 2017. 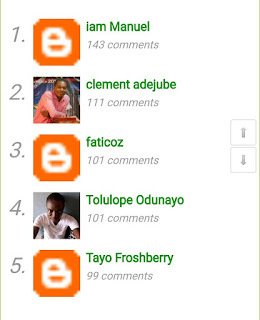 While faticoz and Tayo Froshberry are the new commneters with good comments' points. Tolulope Odunayo on his own has always retained the number 4 spot. He has never moved away from the number 4 spot and I wonder why lol. PLEASE SHARE THIS POST WITH FRIENDS; LET THEM COME AND JOIN. 2nd? Wow. No problem sha.